French brand Mavic are well known as a wheel manufacturer but by their own admission, have been lacking somewhat when it comes to an aerodynamic wheel. With the launch of the CXR80, that looks to have changed for the better. At 80mm deep for the rim, these are aimed fair and square at time triallers and triathletes but if they perform as claimed they should work well in rolling road races too. Rather than just a wheel, the CXR80 has been designed from the ground up as a ‘system’ dubbed CX01. 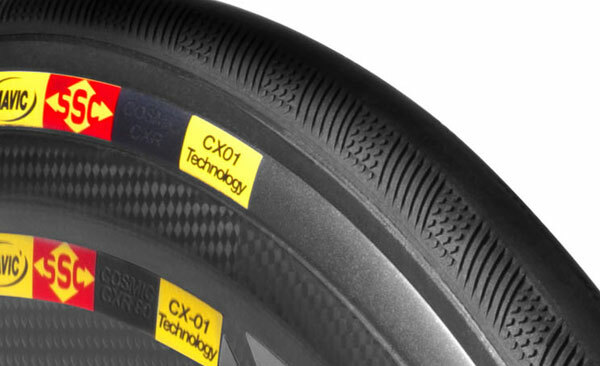 It is engineered to run specific tubular tyres and what Mavic are calling Blades – more on those later. The rim itself is 80mm deep, bulges to 28mm wide at it broadest and is far less “pointy’ on the hub side than previous Mavic deep-section wheels. Constructed as a hollow, foam-less carbon structure, they will run at a competitive 1,630 grams per pair. Mavic’s 23c Yksion CXR tubulars feature a tread profile that has been designed to start the airflow on its way across the rim surface as smoothly as possible. As well as offering traction, the tread profile and overall tyre shape has been wind-tunnel proven. Sipes and tread patterns have also been developed to create a boundary layer of micro turbulence to aid flow further. This turbulence management is the name of the game for the CX01 and the delineation between tyre and rim is a potential issue. During the CFD (computer fluid dynamics) design stage, the aero engineers found that a smoother profile between tyre and wheel had substantial effects on laminar airflow. Mavic’s answer was to develop the CX01 Blades. These rubber strips clip onto a channel in the rim and offer a near flawless transition from rubber to rim. Mavic claim the CXR80 WTS is the fastest in the world. Many manufacturers make such claims at launch but Mavic have qualified what they mean. The test results we were shown, and in fact witnessed during live wind tunnel testing at the launch, show that the CXR80 are marginally quicker than a Zipp 808 up to 11 degrees of yaw. After this point, they are a lot better. At 18 degrees they actually save 25watts compared to the Zipps. Anyone can quote wind tunnel data, but what was interesting was the quantification in real world terms. Mavic developed a bike mounted wind vane and collected many 1000s of hours of real world wind conditions. This process allowed them to see how much time riders actually spent dealing with specific yaw angles (i.e. what percentage of your riding time you spend with what sort of wind angles) From this data they created a ‘weighting curve’. Calculating the aero savings at a given angle, and weighting the results according to the percentage of time you are likely to spend at said yaw angle, is what allows Mavic to make the claim that they have the fastest wheels in the world right now. Currently, only an 80mm tubular version of the system has been unveiled but we can expect a full range in time, and hopefully a clincher variant too to allow the real world test results to filter through to real world riders. UK pricing has yet to be set, but the €2,499 price puts them at comparable levels to the competition and with mid August slated for delivery, it should not be long before we are able to spend some time giving the wheels more than the wet 80km we have so far. Any new wheel released these days needs wind tunnel data to verify the claims of being ‘fast’. Thanks to its location in Annecy, Mavic has access to a truly unique facility on their doorstep in Geneva for the gathering of their aero figures. 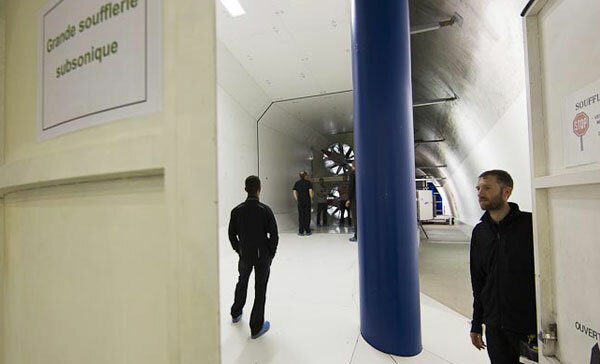 CFEME is a wind tunnel that is owned and run by Geneva’s engineering school and its location is a result of an unusual sequence of circumstances. Originally the school’s tunnel was located within the Geneva campus, but when that was demolished a new location was required. In the 1920s the Swiss authorities had planned a dual level gorge crossing featuring a road on the top level with a rail crossing suspended beneath the bridge. This required tunnels to be bored into the walls of the chasm. For one reason and another, the project did not come to fruition but the tunnels were partially bored. They were used for a while by the Swiss army for ordinance testing but then, unused, they sparked the imagination of CFEME. Once smoothly lined with concrete, they provided an atmospherically stable location for a semi-open wind tunnel. With the data recording ‘hut’ and tunnel area situated centrally within the bored tunnel and using the tunnel itself for the return airflow (with some clever baffling) the resulting facility was a cost-effective way of building a facility that offered not only the ability to test aerodynamics as effectively as a standard stand alone wind tunnel, but also to do it in a temperature and viscosity stable environment. 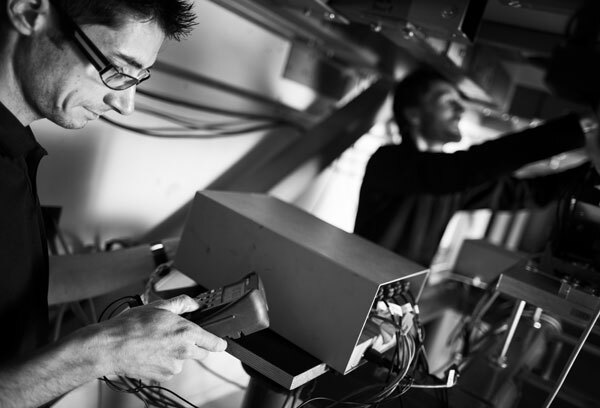 Atmospheric control is massively energy hungry and is a large part of the exorbitant costs of wind-tunnel testing. With this parameter effectively removed, the facility is far more cost effective to run. Proximity to the facility coupled with the low costs for such high-quality data allowed Mavic to spend over 400 hours testing more than 200 iterations of rim profiles, spoke and tyre designs – both stand-alone and within a number of different bikes. As well as its own product, they were also able to test competitors’ products in identical conditions, whenever they became available, without the worry of anomalies due to atmospherics. 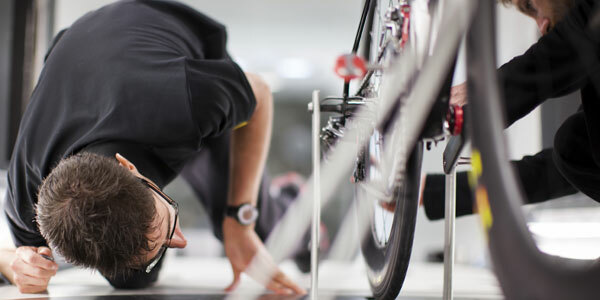 With exclusive access within the bicycle industry, Mavic’s engineers also partnered with CFEME staff to produce their own Balance. This is the device onto which the bike or wheels are fixed and with which deflections due to air flow are measured. As well as the usual deflection due to wind passing, lateral moments of inertia are measurable but it is the resistance to spinning that is a unique measurement to Mavic. By measuring the resistance to rotation of belts running under the wheels, Mavic’s engineers are able to isolate the effect the spoke shape is having on results. With the spokes moving upto twice as fast (relative to the ground speed) they can be responsible for up to 15 per cent of the drag. A wheel’s profile hits the wind twice: this is an important concept that every leading wheel manufacturer now pays plenty of attention too. With the air flow first hitting the tyre and flowing off the rear of the rim bed, it then hits a second leading edge – the rim bed becomes a leading rather than trailing edge. This fact had previously been ignored by manufacturers. Balancing the profile of the rim system to maintain its aero performance on the second leading edge is very important as 40 per cent of a wheel’s drag comes from this secondary hit – the rim shape ended up as a compromise between the two NACA (0024 and 0011) profiles. Other rim shapes performed better as individual entities, but the way the ‘flipped’ profile fits within the second longer (NACA 0011) profile proved the best answer Mavic found to the problem. This article was first published in the June 21 issue of Cycling Weekly. You can also read our magazines on Zinio and download from the Apple store.